For a professional, devoted Pembroke Pines Auto Accident Attorney Robert E. Gluck knows how much a car accident can change one's life. He has extensive experience with representing injured people with similar stories like yours. Contact Robert E. Gluck if you have been injured in an automobile accident. Your accident could have caused more damage than you think. The first thing you need to do after your accident is to see a doctor. Get your report, and then contact your accident attorney to proceed. Have your Pembroke Pines Auto Accident Attorney help prove negligence existed at the time of your accident. If he can prove the other party is guilty of it, they will be held responsible and have to give you compensation. Negligence happens, when reasonable care is not followed, and there ends up being an accident. Do not try to prove negligence existed on your own, allow the accident attorney to do this. It is important you fully understand the law or your case could end up failing. Studies indicated those with an attorney tend to receive better compensation. So it is very important you allow your Pembroke Pines Auto Accident Attorney to take care of it for you. Robert E. Gluck has the necessary experience for this kind of case, and is very familiar with accident law. He can help you with your entire claim and guide you along the way. Robert E. Gluck will give you the legal services you require and are entitled to. He knows how difficult this time is for you, and will do all he can to make it better. Your Pembroke Pines Auto Accident Attorney will interview witnesses, obtain their statements, and do a complete investigation of the accident scene. 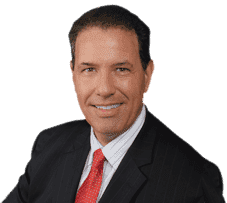 Robert E. Gluck has an incredible amount of accident law experience, and has successfully finished many personal claim cases. He provides clients who have been in accidents with the kind of representation they need. Clients are extremely happy with his results. He is a strong voice for car accident victims, protecting their legal rights, and fighting hard for a great outcome.